It seems that Nvidia has decided to finally update the notebook drivers to the latest version 197.16 to have the latest features and performance improvements and to bring official support for the GeForce 300M series GPUs that are starting to appear. Also the mobile drivers now seem to be called Nvidia Verde Notebook Drivers, probably to have something to differentiate them from the desktop drivers. 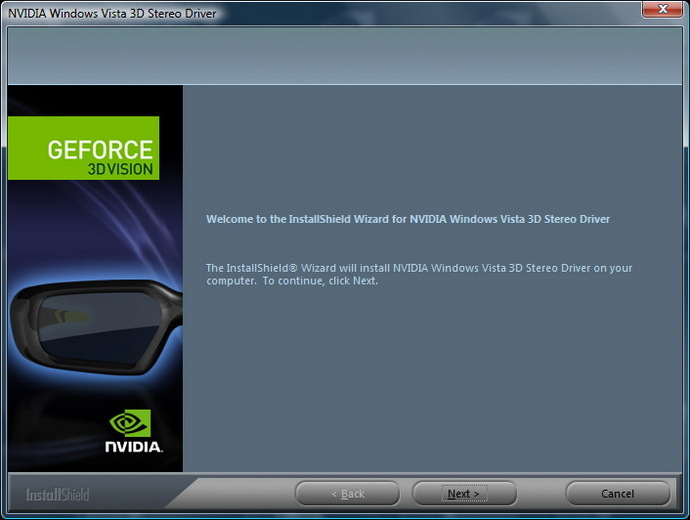 Along with that Nvidia has released an updated driver CD version 1.24 that includes the latest GPU driver version 197.16 along with the 3D Vision Driver version 197.16. 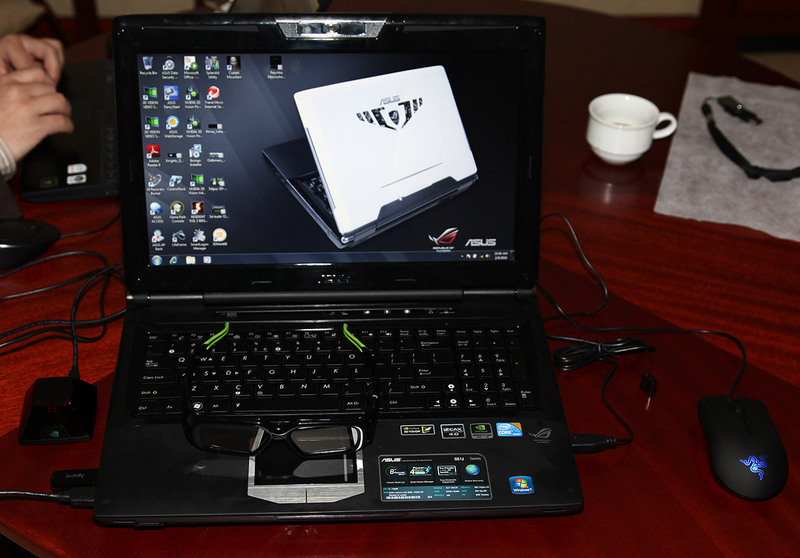 What is interesting in this driver is the first to officially support 3D Vision usage on a laptop (other than the 3D-ready Asus G51J 3D) with the help of an external display. This driver also supports the Asus G51J 3D laptop that has a built-in 120Hz LCD panel, so you should update if you already have one of these laptops as the latest driver CD for it was 1.17 which is already quite old. Now what came as a bit of disappointment is the fact that the new Nvidia Verde Notebook 3D Vision Driver CD v1.24 is intended for supporting only notebooks using the latest GeForce 200M and 300M series GPUs (but that is according to Nvidia). Another interesting bit of information on the support page for the new driver CD suggests that the Blu-ray 3D playback (3rd party software required) is going to work only on the mobile 300M series of GPUs. I’ve tried to install the new driver on my Dell XPS M1730 laptop with dual 9800M GT in SLI and I everything installed smoothly and worked like a charm. The GPU driver recognized the video cards and installed without problem, then the 3D Vision driver complained (before connecting the external 120Hz display) of not finding a compatible panel. The interesting thing is that after that there was no Stereoscopic 3D panel present in the NVIDIA Control panel, but after connecting an external 120Hz LCD monitor the Stereoscopic 3D control panel appeared and the stereo 3D mode was working just fine. 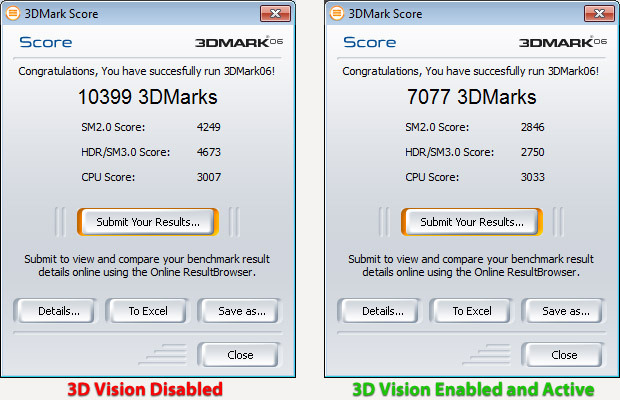 Currently the 3D Vision driver for notebooks supports the usage of external 3D projector, 3D-ready DLP HDTVs or 120Hz LCD, but with the upcoming availability of the NVIDIA 3DTV Play software we are probably going to get support for also using our notebooks as a source for 3D content after connecting them through HDMI to the TV set (no need to have HDMI 1.4 on the laptop, only on the TV). This will however probably require you to purchase the 3DTV Play software, although this is still not very clear as Nvidia has promised to provide the software for free to current 3D Vision owners. And the stupid thing of actually not being able to enable the free 3D Vision Discover mode on your laptop is still present as you get the quite well known error message that your laptop LCD panel is not qualified for 3D Vision as it is not 120Hz. But then again for anaglyph mode you don’t need a special panel, so forget about trying out the “free” anaglyph mode with the 3D Vision on your laptop once again (or go for an older 3D Vision drivers and modify them to work on your laptop)… but then again it is easier to go for other alternatives also offering free anaglyph mode that actually does work!